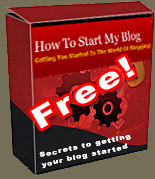 Getting You Started In The World Of Blogging! What pages have other visitors to this blog found the most interesting this week? Which pages are you most likely to be here to read? So everyone is interested in setting up a blog and earning money from blogging. Well I have no problem with that as a large percentage of bloggers are doing just that, along with me over on my other blogs. Find out what I, and other bloggers, do to earn some extra cash! Do you already have a website and are wondering how to add a blog to that, or convert it to a blog? Quite interesting that this is a popular page, but it also seems that another popular page is about how to remove a post title from WordPress. A good use of a blog is affiliate selling and setting up a voucher code blog is a simple and effective way of doing just that. And a lot of you are reading it! This was a quick summary of different paid to post schemes, but I am glad to see that lots of people are reading it. All I will say it is an honest assessment of some of the schemes that I have worked with. Almost a 5 month old page, but I still back what I said there (and there’s a link on that page to a newer version of the information). Are you a professional blogger, or do you have a full time desk job? If so, what is the desk like that you work at? Call it a desk, a work space, a cube or even a full office. Is it stuffed in a corner of a dust room with the oldest looking Windows 98 machine that anyone has seen in recent years? Is every available spare inch of workspace piled high with rubbish? If so then you could just be a candidate for the office contest and in with a chance of winning your share in about $1200 of prizes! From the top prize of a brand new high end computer system, or the second prize of a new desk, chair and decorations or the runner’s up prize of a new entertainment package with high end stereo, espresso machine etc, the prizes are tempting. So, what must you do? First, create a short and amusing video detailing the disaster you have of a work space. Next, register for the competition and upload your video. Finally, tell your friends, family and anyone else you know about your entry, post it to Facebook, Twitter and whatever and get them viewing and voting for you. And if you are lucky, you might just win one of these prizes! Competition closes end of day on 31st January. A lot of businesses are jumping on the bandwagon these days of running a blog as part of their business. Whether this is to entertain existing customers, promote to existing customers or create more search engine bait it can all work. But sometimes with any business’ website it gets to the point at which you really do need to think about marketing the site and the business. Here is where, if it is appropriate to your typical customer you might like to look at what is involved with B2B telemarketing. Here you will have a team at your disposal who will phone around potential clients and see who is interested in your product – taking the hard work away from you! Welcome! My aim is to bring you plenty of useful tips, tricks and ideas to help make your own blog a success - by following the experiments that I carry out with this blog! Please do subscribe or follow on Twitter, or why not both? Maybe this time of the year isn’t the one to be looking at a high efficiency furnace! How do voucher sites make money? What makes a good blog title?